Capacity for Volume: Since we are vertically integrated, we have the ability to adjust production to accommodate prototype quantities to tens of thousands of units. Brandstrom is your one stop solution! Brandstrom offers a line of shutter blades to meet the requirements of the most common optical applications. This product selector lets you view the Brandstrom product line with the options you want. Mechanical optical shutters have a wide range of applications and can provide fast transition times to achieve light blocking, light filtering, and light deflecting solutions. Our custom shutters are solenoid driven which provides for highly accurate and reliable aperture control. 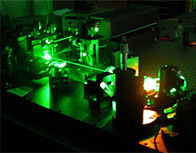 For laser applications we carefully consider the power density and beam size to select the appropriate coating, blade angle, or heat dissipating geometry depending on customer requirements. Soldier Systems Brandstrom Instruments offers a full line of qualified highly reliable shutters for thermal imaging applications. 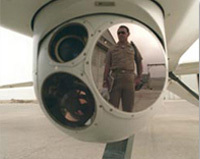 The Thermal Weapon Sight (TWS) II and TWS II bridge programs have exceeded performance requirements and fielding schedules through the use of Brandstrom Instruments rotary drive shutters. They have demonstrated superior performance on the full temperature range -46° C to +70° C and live fire weapon shock profiles for the M4, M16, M240, M249, M2, M34 and Mark19 weapons systems without any reported failures. 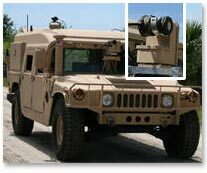 Brandstrom Instruments has already fielded thousands of shutters for the Check 6 320 x 240 situational awareness thermal imaging camera in use on the Bradley Fighting Vehicle, and the DVE on the M1, Bradley, Stryker, Mine Resistant Ambush Protected (MRAP) and tactical wheeled vehicles. The robustness of our thermal imaging shutter has been demonstrated in the dynamic and harsh battlefield operating environments of these vehicles. We design custom miniature rotary solenoid assemblies for laser blocking shutters, safety shutters, ND (neutral density) filter actuators, and front surface mirror positioning. Our Optical Beam Shutters use a rotary, electro-mechanical actuator to provide inherent "fail-safe" operation. The aviation operational environment demands the employment of multiple technologies all assimilated into cohesive mission equipment packages for both manned and unmanned systems. Brandstrom Instruments offers aviation system shutter solutions for integration into the full range of thermal imaging, multi spectral, laser transmitter, laser ranger finder and laser designator applications. Brandstrom Instruments' rotary drive electro-optical shutters are used wherever light paths need to be interrupted in a reliable and precise manner. We have designed shutters for many medical applications including laser eye surgery devices and medical fluid analysis machines. 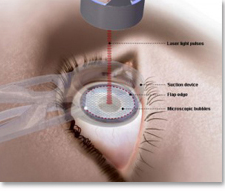 Laser systems often require blocking devices to avoid injury from accidental exposure. Our rotary solenoid shutters are frequently used in safety applications but are also used to redirect, filter or attenuate laser light. We offer reflective finishes, innovative blade shapes, hall effect sensors, ND filters and many more features not found in off-the-shelf products. 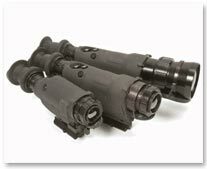 Our rotary drive shutters are used in commercial, scientific, medical and defense laser applications. We design custom NUC (non-uniformity correction) shutters for uncooled and cooled IR (Infrared imaging) camera systems for FPA (focal plane array), Bolometer arrays, and IR image sensor calibration. 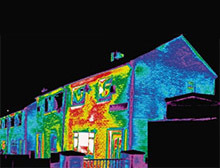 Brandstrom NUC (nonuniformity correction) shutters are found in many high performance thermal imaging cameras, cooled and uncooled, providing internal focal uniformity references. 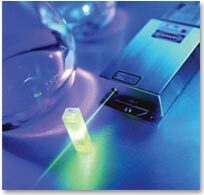 We are currently designing products for next generation technologies. Please contact us for a list of in-stock shutters, or to discuss a custom shutter design for your specific application.